Online Application Details for Punjab State Cooperative Milk Producers Federation MILKFED Recruitment of 29 Deputy Manager is given below. 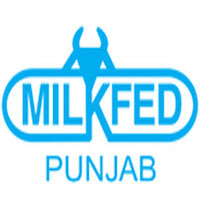 Application form and duly attested documents are to be sent to Manager (HR), Punjab State Cooperative Milk Producers’ Federation Ltd., SCO 153-55, Sector 34, Chandigarh-160022. In envelope super scribed with 'Application for the Post of Post Name'.